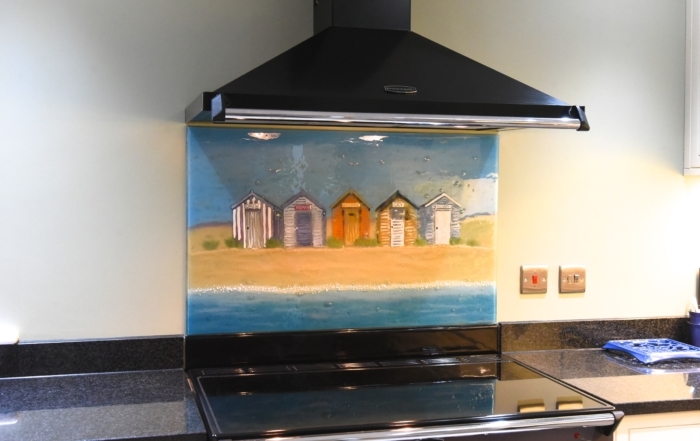 THE PLACE TO GO FOR HANDMADE, BESPOKE FUSED GLASS ART AND BESPOKE GLASS SPLASHBACKS! 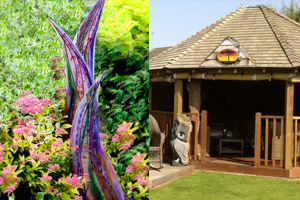 The House Of Ugly Fish is run by husband and wife team Paul and Lisa. 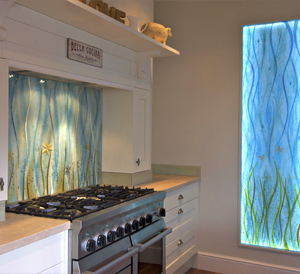 They specialise in creating handmade fused glass art and bespoke glass splashbacks for both domestic and commercial environments. 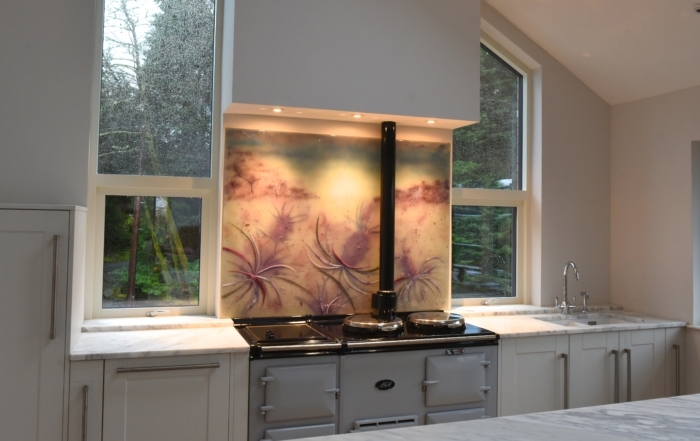 From glass art windows and doors, lighting, bowls and table accessories as well as outdoor glass, as well as glass art for radiators, there are few limits as to what can be made. 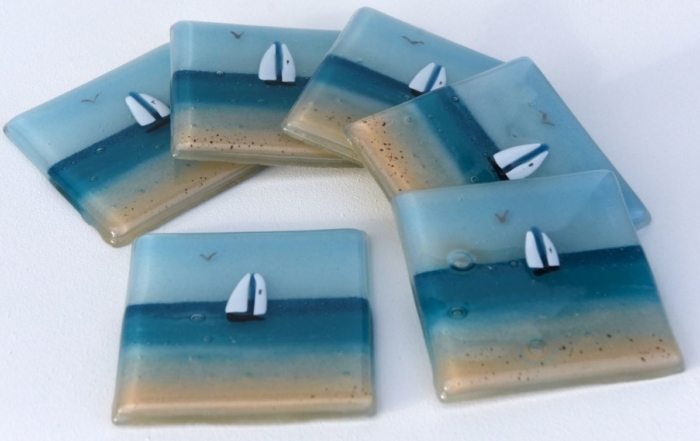 Are you a fused glass artist? 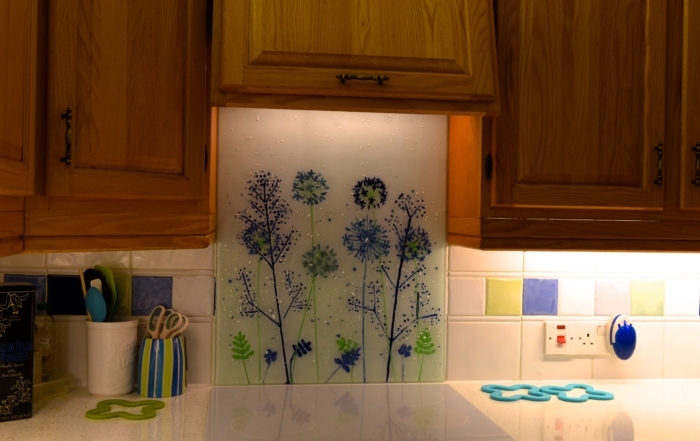 We’re selling our glass offcuts. 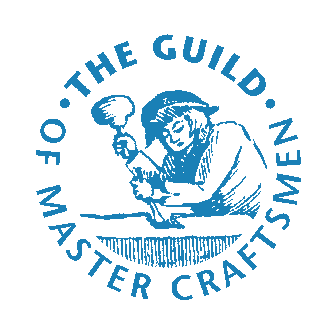 Visit our Facebook, or click here for details. 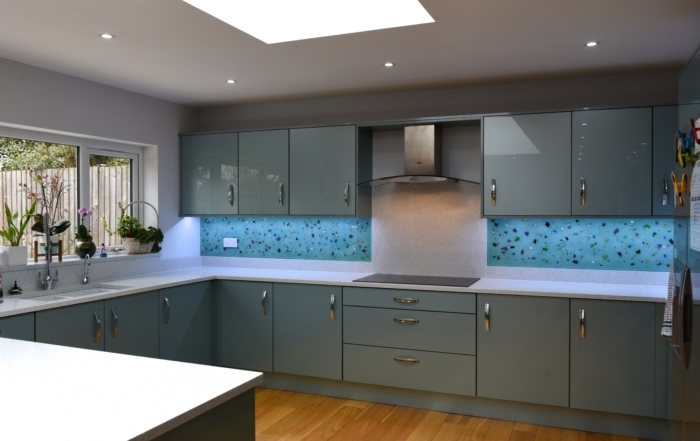 with fused glass and bespoke glass splashbacks, and The House of Ugly Fish is now firmly placed at the forefront of the world of glassmaking. 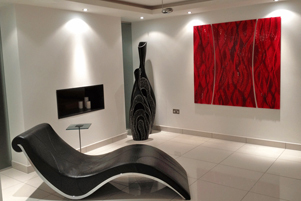 As can be seen in the Portfolio section, each piece is unique and tremendously varied. 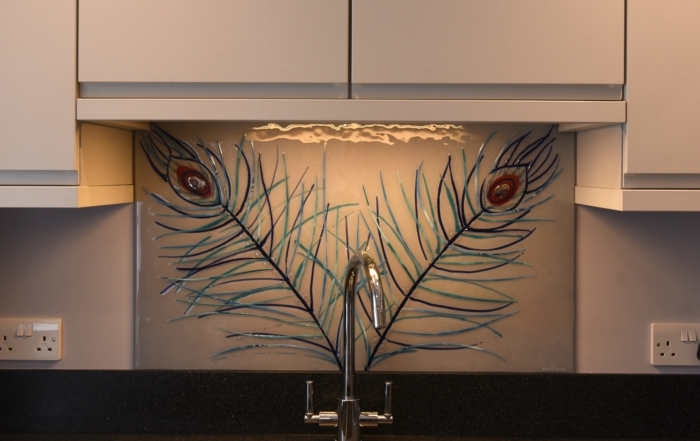 We offer a bespoke service where the glass can be tailor made to order, as well as an extensive range of fused glass art designs, so we can guarantee that we’ve got something perfect for you! 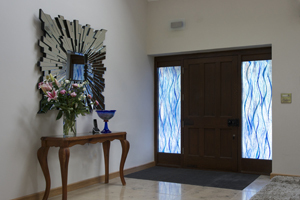 From their Manchester base, bespoke fused glass art has been designed by The House of Ugly Fish for clients all over the UK and overseas – including Europe, Australia, USA and the Middle East. 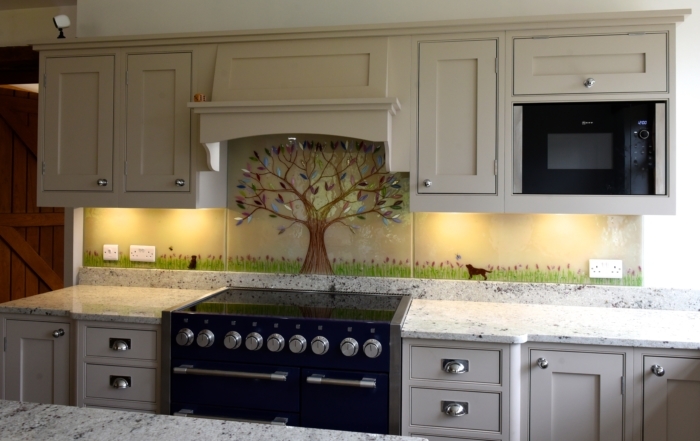 “We just wanted to email to to let you know how thrilled we are with our splashback. 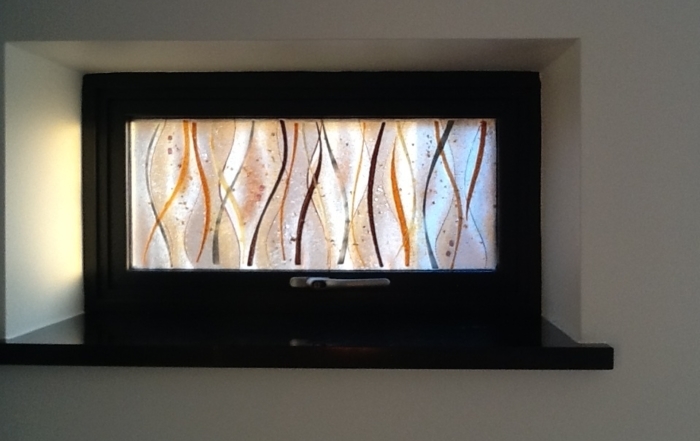 Everyone who has seen it thinks it is fantastic, it is a real work of art and we love looking at it and seeing all the different layers that are in it. We don’t know how you managed to do the waves but its just how we wanted it. 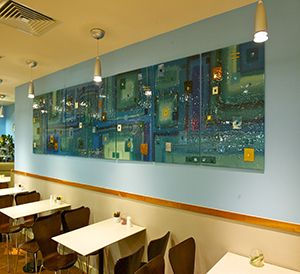 It’s a lovely reminder of our trip to New Zealand. Thank you.